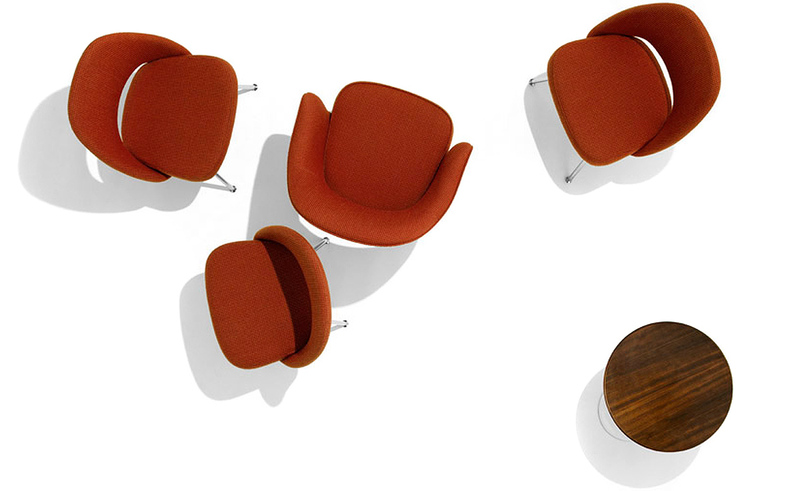 In his groundbreaking collection of 1957, Eero Saarinen transformed executive seating into a fluid, sculptural form. 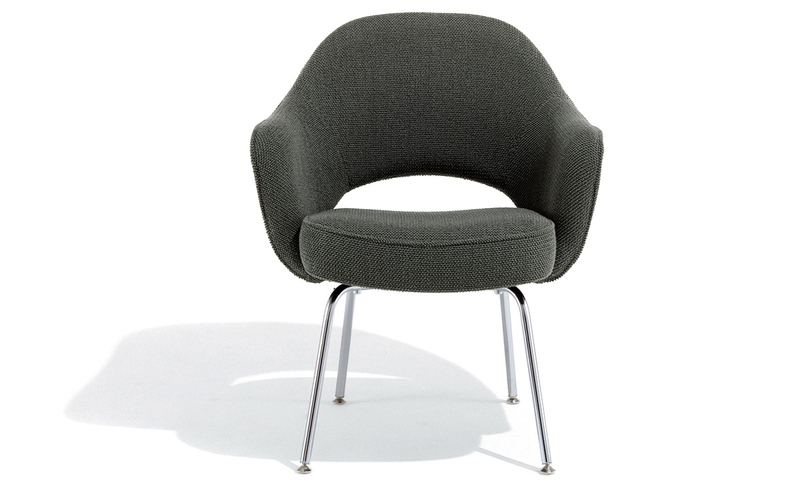 Recognizing the importance of user comfort, Saarinen became the first to construct a chair shell from fiberglass, a pliable material that flexes in response to body weight. 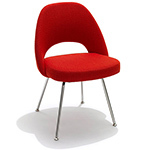 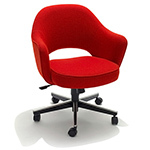 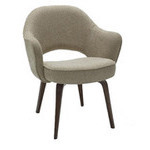 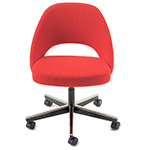 The chair is available with and without arms, and features metal or wood legs, or a swivel base. 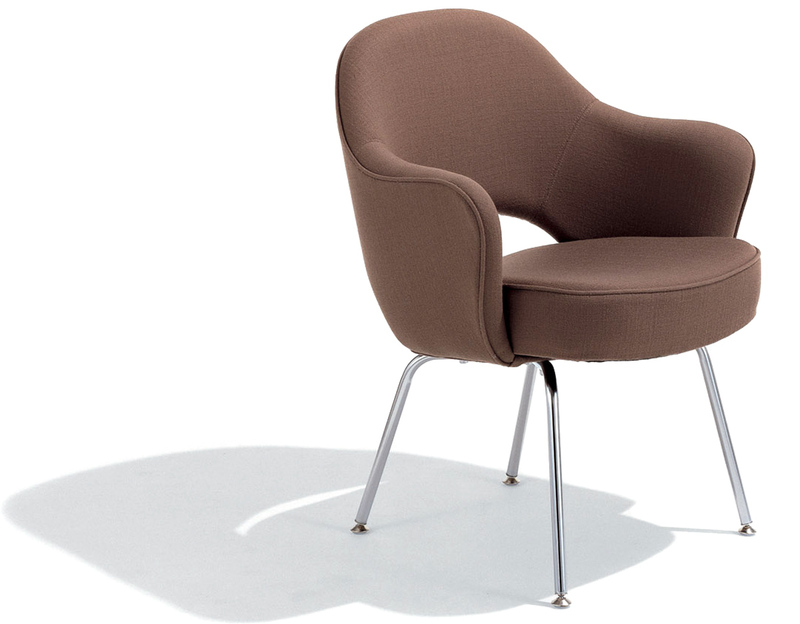 Son of the celebrated architect Eliel Saarinen, Eero was classically trained in sculpture and architecture. 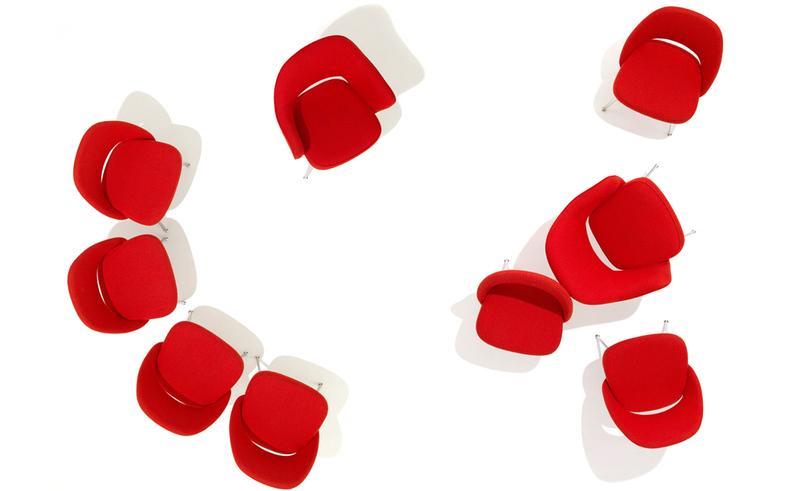 His collaboration with Charles Eames in 1937 led to the creation of the Organic Armchair, made from plywood and foam rubber, the first three-dimensionally shaped bucket armchair. 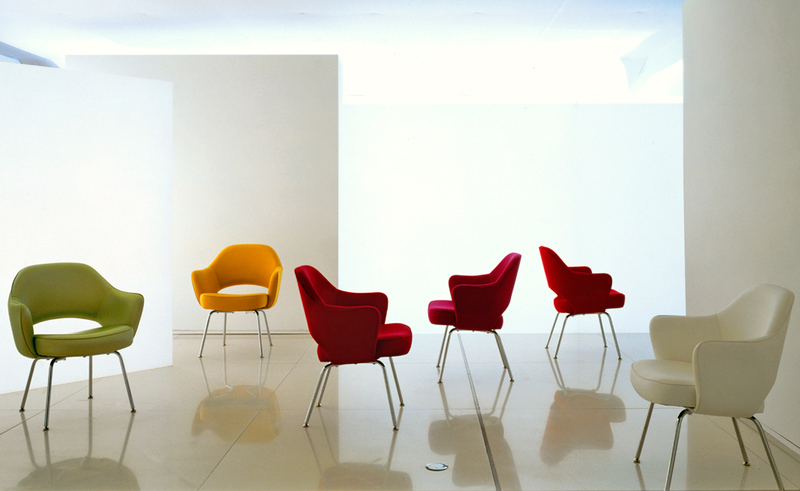 Saarinen continued to develop this theme in the years that followed with great designs, all for Knoll. 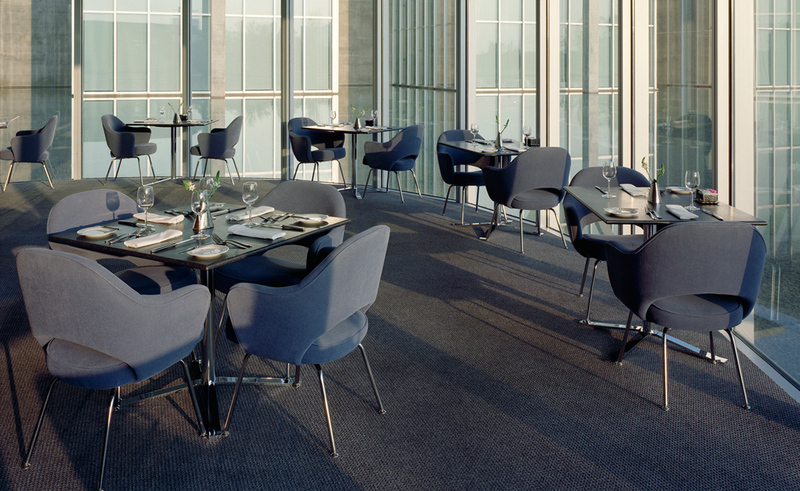 Among the many buildings for which he is known are Dulles Airport in Washington, D.C., and the TWA terminal at Kennedy International Airport in New York. 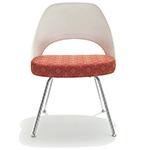 $1,663.00 + plus shipping in the continental U.S.
JR, more than a month ago. 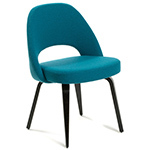 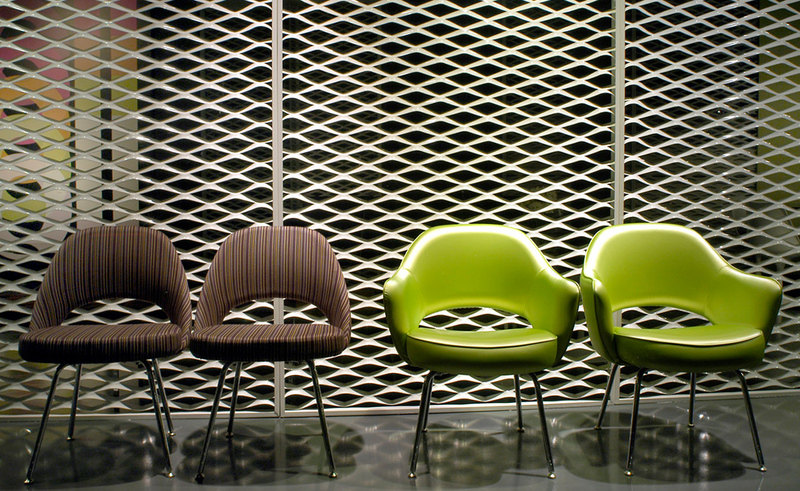 Iconic chair that looks great in any color configuration.